Embassy of the Republic of Serbia in Jakarta together with H.E. 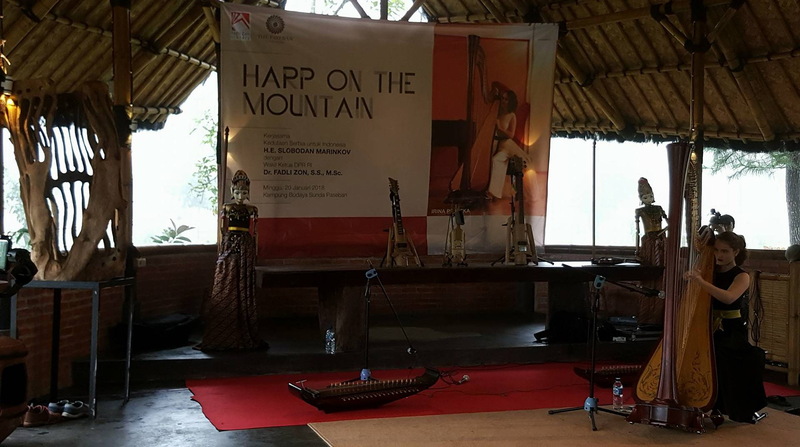 Fadli Zon, Deputy Speaker of the Indonesian People's Representative Council, organized concert of Serbian artist Irina Pejoska “Harp in the Mountain” on January 28, 2018 at Sundanese Cultural Village Paseban. Concert was followed by Sundanese traditional music and performance of Indonesian violinist Fakhri. Concert was attended by diplomatic representatives, members of Parliament, artists and members of Serbian diaspora in Indonesia.